Q: Our parent organization is located outside of the United States. Are we still eligible to participate? As long as you employ at least 15 full- and part-time permanent employees in the United States, you are eligible! Q: We have several organizations operating in the United States under one parent organization. Each has its own Employer Identification Number (EIN) and each has its own set of benefits and working environments. Do I need to register each organization? Yes, we will treat each organization as a separate employer and survey them individually. Each subsidiary must still hold to the minimum requirement of 15 full- and part-time permanent employees working within the United States. Q: We have several offices/facilities in the United States that operate using the same EIN and same set of employee benefits and procedures. Should I register each organization separately? No. If you are one organization with multiple locations in the program area that operates using the same EIN and same set of benefits and procedures, please submit one registration for all locations. In most scenarios, the organization used to determine the employee count will be the organization whose name appears on the employees' paychecks and from whom the employees derive their employee benefits. If you have questions about this, please contact us. Q: Our organization has employees that work for our operations within the United States but technically do not perform the majority of their duties within the United States. Are they eligible to participate in the survey process? For remote employees to be eligible to participate, the individuals must report directly into the United States. If the remote employees report to a remote regional manager, the employees would not be eligible to take part in the survey process. However, the regional managers are eligible to participate if they report directly to the office within the United States. If you are uncertain about any employee’s eligibility to participate in the survey we encourage you to contact Best Companies Group for a final determination, as surveying ineligible employees may lead to disqualification from the competition. Q: What if not all of the employees complete and return the surveys? Is there a minimum response rate? The good news is we are looking for a response rate of 40% (or greater)** so it isn’t necessary that every employee who receives a survey chooses to participate; however, we certainly encourage submission of honest feedback as the higher the response rate, the more representative the analysis will be of your company as a whole. This will aid in your company getting the most out of the collected data, if purchased. **Organizations with 15-24 employees must reach an 80% (or greater) response rate. 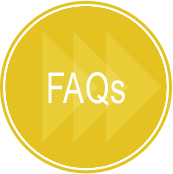 Q: What information is included in the optional Employee Feedback Report and when will we receive it? If purchased, you will receive the Employee Feedback Report (EFR) in the form of Excel documents summarizing your employees’ positive responses to the survey questions. Reports will be sent out shortly after participants are notified whether or not they made the list. The EFR also includes comments directly taken from the two open-ended questions on the survey. Program benchmarking will be sent following the publication so you can compare your organization to this year’s list-making participants. Q: After I register my company to participate, what happens next and when? You will receive a welcome email and an instructions packet detailing important dates and deadlines for the program. Please refer to the Timeline for more information. Q: How is the list determined? Participating organizations must complete a two-part process to be considered for inclusion on the list. The first part consists of evaluating each registered organization’s workplace policies, practices, and demographics and is worth approximately 25% of the total evaluation. The second part consists of an employee survey to measure the employee experience and is worth approximately 75% of the total evaluation. The combined scores determine the top organizations and which organizations are included on the list. Best Companies Group (BCG) manages the overall registration and survey process and also analyzes the data and uses our expertise to determine the final rankings. Q: Our organization has employees in many or states. Will the survey apply to all of my employees? For this program, only employees working in the United States are eligible to be surveyed. Q: Our organization employs seasonal, temporary, per diem and independent contractor employees. Should they be included in the survey? No, please do not include any of the above in the survey process. We only survey full- and part-time permanent employees. Seasonal, temporary, per diem, independent contractors (1099), interns, volunteers or consultants should not be included in the survey process. Q: Do surveys go to all of our employees? If you have 250 or fewer eligible employees in your organization, then the answer is yes! If you employ more than 250 associates in the United States, a random sample of up to 400 employees will be selected to complete the survey. We will perform this random selection for online companies based on the list we receive from you through the Email Upload Portal sent shortly after registration. Companies choosing the paper survey process will be required to perform the random selection and to explain to Best Companies Group their method of doing so. Q: Are managers included in the employee survey? Managers, owners, and executives should all be included in the survey process as long as they are working in or reporting directly into the United States. We want to hear their opinion, too! Q: How long will it take to complete the employee survey? It should only take about 10 to 15 minutes for each associate to complete the employee survey. Q: How long will it take to complete the Employer Questionnaire (EQ)? Will it require a lot of research? The EQ may take between 2-3 hours to complete, depending on how accessible the information is regarding your organization’s policies, practices and demographics. We suggest viewing the sample under the Assessment Process tab to begin collecting data prior to the initial EQ launch. The EQ is completed and submitted online. Q: How does the paper survey process work? What do employees do with the paper survey once it’s completed? We will provide postage-paid envelopes along with the surveys and suggest these be distributed upon arrival for maximum participation. Employees are encouraged to fill out and mail the survey independently. The postage-paid envelopes are pre-addressed with the name and location of our processing facility. Q: How does the online survey process work? Organizations will submit a list of employee email addresses. We will send a direct email invitation to employees which contains unique access information where employees can submit their confidential responses via the online survey. Please note: organization-issued email accounts work best for our survey process. Q: Not all of our employees have email addresses. Can we still utilize the online survey? Yes, as long as 70% of your employees have an email address. Employees without email addresses (up to 30% of the eligible employee population) can use access codes to enable them to take part in the survey. If more than 30% of employees do not have email addresses, we offer the paper survey method as an alternative so your organization can still participate. Q: Can the job role and department demographics on the employee survey be customized to more closely align with our organization? Yes, for a fee, the job role and department demographic categories can be customized on the employee survey. After registering, a survey specialist will work closely with you to determine the appropriate categories and help you get the most out of our survey process! Additional customization options are available including location breakouts, adding additional survey questions or surveying employees outside of the program area. Please call Best Companies Group for more information or select “yes” to the customization option on the registration form and someone will contact you with more information. What is customization? Q: A portion of our employees do not speak English. Do you offer employee surveys in alternate languages? We do offer employee surveys in a variety of additional languages! There will be a $215 fee per language to cover the cost of translation. Please select "yes" on the registration form to request additional language surveys. Spanish and French surveys are available in both the online and paper versions of the survey. Q: How will my company be notified throughout the survey process? Will I receive regular updates? You will receive regular periodic email updates throughout the survey process. We’ve also included the Timeline on the website, as well as in the instructions packet (sent to all registered companies at registration) for easy access. Each organization is responsible for meeting all deadlines and completing each step in the process. Q: When will we find out if our organization made the list and where we rank? You’ll receive the news via a notification letter informing you of whether or not your organization has made the list. Rankings of all list-making organizations will be revealed shortly after the notification. See the Timeline or Notification page for more details. Q: Can my organization see the surveys before we sign up to participate? Certainly! Please see the Assessment Process page for samples of each survey. Q: I am concerned about the confidentiality of the survey responses. We will make every effort to maintain the anonymity of employee responses and protect all summarized data provided by your organization during this process. In keeping with this level of confidentiality, we do not report any response data for less than five individuals in any one demographic category on the Employee Demographic Report, if purchased. Please see our Statement of Confidentiality for more information. Q: What happens if we don’t make the list? In the event that you enter the program, but do not make the list, only you will receive notification of that result. We will not release the names of organizations that do not make the list. You will still receive your Employee Feedback Report, if purchased, and will then have the opportunity to focus on areas to improve your organization and potentially improve your standing the next year. We believe that all workplaces can be great, if energy is spent listening to employees and taking their feedback to heart. Q: How many organizations participate in this program each year? Best Companies Group has very high confidentiality standards in place to protect organizations that don’t make the list. We never release the number of participants in any of our programs, for any reason. Q: Why should I choose this survey over other “Best Place to Work” programs? BCG has spent more than a decade focused solely on survey administration and data-reporting services. Our team of friendly professionals has a strong track record of delivering exceptional, one-on-one customer service. We’ve spent years developing credible survey tools and valuable and actionable response data reports. We conduct annual surveys for thousands of employers all over the United States and internationally, resulting in a robust database of employee response feedback and trends in workplace benefits for benchmarking and comparative analysis. Plus, we offer a two-part survey process. We collect data from both the employer and employee and use both data sets to determine the best workplaces. Looking for participant-specific information (your company’s report or instructions packet, perhaps)? Please check your email for messages from Best Companies Group. If you can’t find what you’re looking for, please contact your program coordinator directly for assistance. Q: Who can I contact with additional questions? Q: Does Best Companies Group have any other programs or conduct any other surveys or services? Yes! Best Companies Group is identifying and recognizing great workplaces on national, state, regional and industry stages. For a complete list of programs or to learn more about our additional services, please visit www.bestcompaniesgroup.com.